Whiskey is a quintessentially American spirit built on top of the foundation of heritage American grains, corns and woods. It’s something that, as a country, we are very adept at producing. Having this amazing spirit in the hands of small batch artisan distillers is a whiskey lover’s dream come true. Unfortunately, so far, that dream hasn’t been fully fulfilled. Whiskey is an extremely expensive proposition that requires strong capital, good craftsmanship and the most expensive element in the equation – time. Unfortunately, the economic realities of craft distilling don’t often provide the luxury of time. The need to start generating income off whiskey and a desire to do more than gin or vodka has created a new wave of young whiskeys on the market. 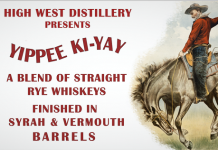 Some of these whiskeys are completely unaged and are sold as White Dog, White Whiskey or New Make Spirit, while others are pushed as quickly through the maturation process as possible. With 60-80% of a whiskey’s flavor and complexity coming from the time it spends in barrel, many of these young whiskeys seem lacking on the palate or are so dominated by fruit and tropical notes that they completely lose their balance. 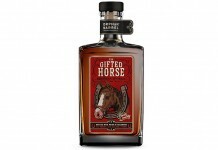 House Spirits Distillery has taken their stab at this extremely difficult category with a blended whiskey that brings together older aged whiskeys (as old as four years in barrel) with lightly aged whiskey to create a spirit that tries to crack the code and deliver an affordable middle step spirit as we wait for their fully-aged whiskey to mature. House Spirits Slabtown Whiskey (80 proof $30) – Medium orang- gold in color, the Slabtown Whiskey has a very light nose with subtle sweet tones of vanilla, caramel and a very light cinnamon spice underneath. The Slabtown Whiskey has an extremely easy entry with almost no heat. The initial note is very slightly sweet and soft. One of the things we love about this whiskey is that there aren’t the tropical and fruity notes so common in other young whiskeys, nor is it overly sweet. Things really start to take off in the mid palate where the core of the flavor comes on with tobacco and chocolate on the top, and coffee and a small amount of smoke underneath. The Slabtown Whiskey has a medium finish that introduces some nice spice to the mix. Slabtown Whiskey lacks the complexity we love in good whiskey, but there are hints on the finish of some great promise for House Spirits future fully-aged whiskey. House Spirits Slabtown Whiskey – is hard to rate. 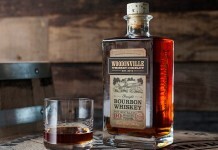 Against fully-aged whiskey and bourbon, it’s just doesn’t have the kind of bold, deep notes or complexity of flavor to get really excited about. However, in the field of young whiskey it’s extraordinarily notable. House has solved a very difficult puzzle in this category with a whiskey that could really appeal to crossover whiskey drinkers. Fans of blended Irish Whiskey who want an easy entry into the American Whiskey category won’t find an easier drinking spirit. Vodka drinkers who want to try a spirit with more flavor and yet require a smooth, easy spirit will find the Slabtown to be a perfect option. 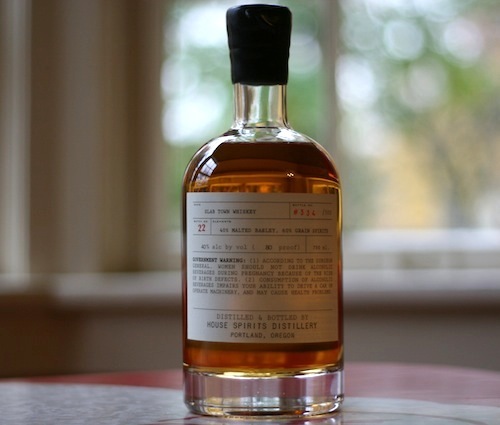 Finally, House Spirits has released this whiskey in a 750ml package at $30. It’s hard not to respect them pricing it so appropriately for what it is. Is Slabtown Whiskey the next great American whiskey? No. But for light whiskey it is exceptional and for many it’ll be exactly the kind of spirit they are looking for.